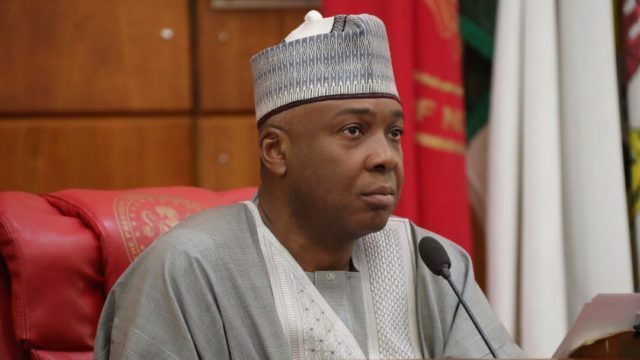 The Senate President, Bukola Saraki, has urged the newly elected National Assembly lawmakers to conduct their affairs in a manner that commands respect from other arms of government. He made this comment during an opening dinner for senators-elect and members-elect of the 9th assembly on Sunday. The event organised by the National Assembly management held at Nicon Hilton Hotel, Abuja. In his remarks, Mr Saraki said the legislature is the bedrock of democracy and its independence in a democratic government is non-negotiable. “In its constitutional role, the National Assembly carries out oversight, makes laws and ensures constituency representation. In carrying out constitutional functions, lawmakers must always recognise that the independence of the legislature is non-negotiable,” Mr Saraki said.